The big fish is hungry. Help him gobble up his dinner! Then pour it out! Big handle is easy for little hands to hold. 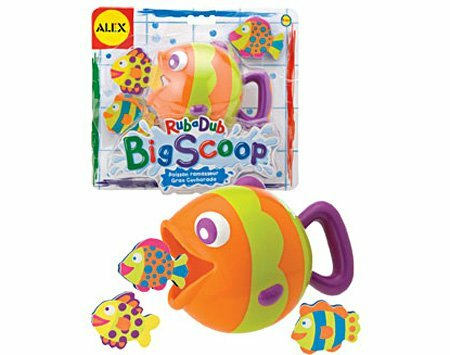 3 colorful EVA fish float in the tub or stick to tub wall when wet.